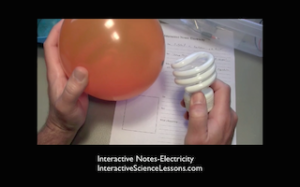 I want you to know that every set of teacher notes that accompany my 10th grade science experiments is based on how the lesson actually went in my classroom, and many videos were recorded the same day it was taught so the details would be preserved. Thats why the voice in my 10th grade science experiments seems real, like I actually did what it’s describing. It wasn’t always convenient to do it this way, but my standard is excellence and I feel I couldn’t give you an excellent product any other way. I hope you don’t mind, but to keep your teacher notes from becoming overly-complicated, I chose not to pass them through an English department for a grammar check. Nor were they sent to the local university to be corrected. While I hope there aren’t many mistakes, that’s still not my main concern. All I care is that my 10th grade science experiments actually work in the classroom. Some teacher guides are so sophisticated and overdone that you have trouble making sense of them, and a perfectly good lesson can be lost when it’s “over-decorated”. I just wanted mine to be clear. They’re rare hard to find, but they make all the difference in 10th grade science experiments. I’m referring to great questions. One great question is powerful enough to carry an entire activity- it gives you something to build around and up to. Or you can leave it with your students to chew on for a homework assignment that wraps on into tomorrow. 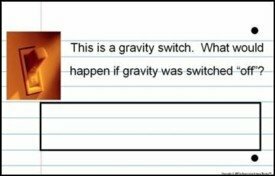 My 10th grade science experiments include some great questions, but you can come up with more of your own by going through the activity in your mind beforehand. And don’t forget the importance of good mental preparation before the activity. Plan a series of leading questions that culminate in that one special question that you almost cant wait to get to. Since great questions seldom pop up out of nowhere, you should invest time in the activity before the activity, as described in my Yellow Sheet. By doing this you’ll give yourself a chance to come up with some great questions of your own. It’s stunning when students realize this, but teachers are real people. When they spot us shopping or driving around town, they may stare in bewilderment because teachers are never supposed to be anywhere but at school teaching and getting ready for 10th grade science experiments. As wrong as that perception is, they’re still right about something- being a teacher of 10th grade science experiments carries over into every other part of our lives, just as every other part of our lives affects us as teachers. What books are you reading? Or are you reading anything at all? If you’re not reading at least one challenging non-fiction book a month then youre not doing the very thing that we as educators stress is so important to our students. If reading a book seems too boring, then you’re reading the wrong things because a good book is hard to put down. And one good book will lead to others. Each book will teach you something valuable, and soon you’ll see growth and improvement in your life. Is there anything more cool than noticing in the middle of a 10th grade science experiments that every single student is listening to you? Think of how amazing that is- what you have them engaged in is more important than anything else going on inside your students heads- lunch, boyfriends, clouds drifting by outside the window, the latest rumor. Getting everyone there is not easy. But how do you get there? And how is it that some teachers seem to always have everyones full attention, while others seldom have anyones? There are many ways to effectively manage a classroom, even with a very 10th grade science experiments. And because your style and personality are different from everyone else’s, so should your method of managing. It has to comfortably be you in charge and not another teacher and their style being emulated. And it has to result in your students realizing that you are the one and only person in charge. Your goal here is not tyranny, but to reach a point where students trust that you will do what’s in their best interest. Good preparation is another key, so that you are not caught off guard and allow your emotions to make impulsive decisions. You can learn more about being prepared by reading about the Yellow Sheet. If things are frequently out of control in your room, hold off on the 10th grade science experiments for a bit. Read some books and talk to another teacher with lots of experience and who manages their class well. In other words, do something about it! If you dont know what to do, then you need to learn. As they say- if you keep doing what you’ve been doing then youre going to keep getting what you’ve been getting. And listen to the advice of people who have their classrooms under control. You’ll discover that a well-run classroom is one that pays close attention to the little things, and where the students best interest plays a major role in most decisions.